Mobile Computers as Tough as the People who us them. 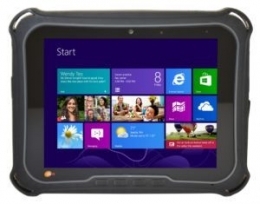 Every DLI rugged mobile computer begins as a response to customer generated challenges, each requiring an innovative, cost-effective hardware solution. From concept to completion, our in-house team of product design, engineering, and mobile solutions professionals work to harness the latest in technological advancements. The result — rugged mobile computers that allow our customers to work in ways and in places they never thought imaginable. Developed around a common architecture, industrial components, and a user-friendly ergonomic design, each DLI device is developed with the goal of providing an enhanced user experience that delivers real-world productivity gains. DLI5 Rugged PDA, Cortex® Quad Core 1.3GHz Processor, 5” High Definition Touchscreen, Front & Rear Camera, Barcode scanner, RFID, Wi-Fi, Bluetooth, GPS, 4G, IP67 Rated. DLI10 Tablet, Intel Quad Core 1.8Ghz CPU, 9.7" 1024 x 768, Wide View Angle 350NIT LCD, 4GB, 64GB SSD, Bluetooth Class 2 V4.0, 802.11a/b/g/n (a/c), Indoor/Outdoor Touch Screen, 1-USB, 1-Micro HDMI, 5MP CMOS Camera W/Flash (Back), 1.3MP Camera (Front), External Battery Pack, Screen Protector, Hand Straps, Stylus. DLI 8500P VMT, Intel Dual Core 1.80Ghz CPU, 10.4" 1024 x 768 500NIT LCD, 2GB RAM, Bluetooth Class 2, 802.11a/b/g/n (a/c), 1-10/100/1000 Ethernet, Internal Battery, RAM 202U mounting ball, Screen Protector (Does not include Power Cable, 12' W/5A Fuse & Bare Leads, AC Wall Adapter, or Power Supply,Surge Supressor). DLI 9300 VMT, Intel Dual Core 1.80Ghz CPU, 2GB RAM, 8.4" 1024 X 768 400NIT LCD, Indoor Resistive Touch Screen, Full 72-key backlit QWERTY keyboard with number pad and 12 function keys, 1-10/100/1000 Ethernet, 802.11a/b/g/n (a/c), etc.